Recently it has come to my attention that new readers may be unfamiliar with the reasons this blog was created and its purpose. I am republishing our very first blog post of Sunday, March 29, 2015, in hopes it will encourage family members to submit information for publication and dispersal. 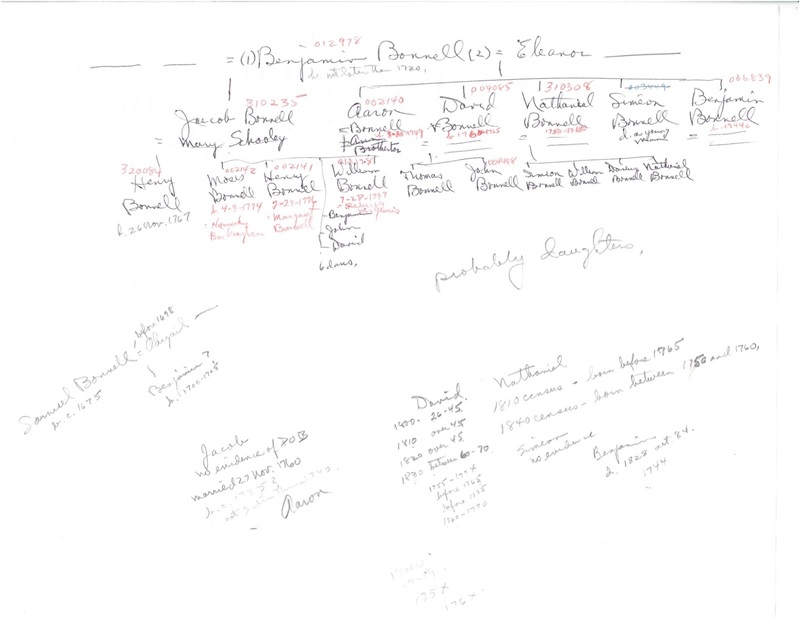 This Bunnell-Bonnell Family Blog was created to share information on the many branches of the Bunnell/Bonnell family tree. It is the child of the Bunnell/Bonnell Newsletter, which was in continuous publication from January 1987 until November 2014–28 continuous years! 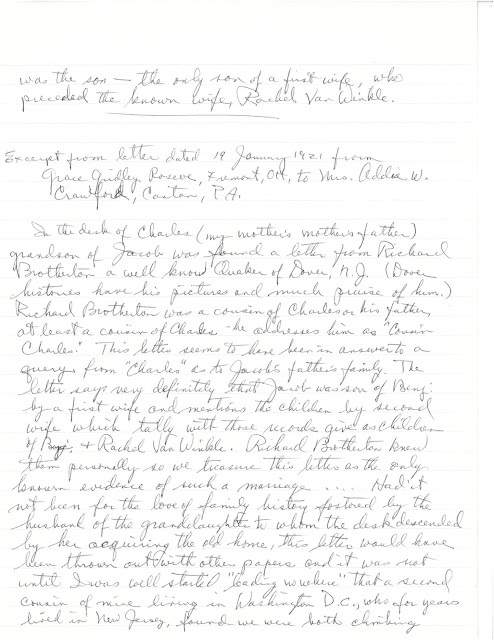 Mr. William Austin of Lacyville, PA started the Newsletter in order to share some of the material he had collected during 25 years of research and correspondence. That first issue was 8 pages long. Over the years Bill grew the Newsletter both in content and in subscribers, and he became one of the foremost experts on the Bunnell/Bonnell genealogy. After 10 years of publishing the newsletter, Bill turned it over to Carole Bonnell and her sister-in-law Teri Bonnell. Their first publication was in January 1997. Like Bill, they published an outstanding Newsletter and provided a much needed forum for Bunnell and Bonnell researchers to share information and ask questions. Finally, in January 2003, in answer to Carole's and Teri's calls for new editors, Charlie and Pat Bunnell decided to give it a try. Charlie had just retired and was looking for something new to "obsess" over. The newsletter ceased publication with the November 2014 issue because no one volunteered to take over for Charlie after he decided to take a well-deserved break. Past Issues Bunnell/Bonnell Family Newsletters. The creators of this blog and all Bunnell/Bonnell family researchers owe enormous debts of gratitude to these editors and all who contributed to the newsletter. Thank you for all the information you preserved and shared. The newsletter had always been an informal, information sharing publication with all of the subscribers recognizing and treating each other as family. We hope this blog will be the same. You Bonnell/Bunnell family members are a wonderful bunch. One of my correspondents informed me the University of Michigan has digitized and made available online the Jay H. Bonnell typescript I mentioned in my last post. Addendum: UM's Bentley Historical Library's magazine published a story on the Polar Bear Expedition Bentley Historical Library article The Bentley's magazine has many fascinating articles and I've spent the last three hours enjoying them. Thank you, University of Michigan. From Pvt. Jay H. Bonnell, Company A., 310th engineers, Archangel district, Northern Russia, to his wife, Mrs. Jay H. Bonnell, 807 West John street, under date of December 17. It is getting near Christmas and I am still in Russia. They say the coldest weather here is about 25 degrees below zero, but it is a dry cold and don't seem much colder to feeling than our Michigan winters. I am feeling fine and gaining weight and haven't even had a cold so far this winter. We have plenty of food and clothing, but lack blankets, as I lost one of mine in a battle on the front. Just received some more letters and about 25 newspapers, and while I am writing this letter the resto f the boys in the car are having a great time reading Bay City news. We have a Y.M.C.A. car along with us, and if we have rubles we can buy candy, gum, canned stuff, etc. We ride about seven miles back and forth to work in a train. The working hours are short though, as we have only about seven hours of daylight. A sergeant, corporal and nine men besides myself were let off a boat about 200 miles up the Dvinn river on September 14, and the authorities must have forgotten they sent us, because we were reported missing. On November 10, a corporal and myself were detailed to go to Archangel and get some supplies for the men. We left the others in a little town on the Yosa river, a branch of the Dvinn. It certainly was some trip. It is about 200 miles, and took us four days. We went about 150 miles in a canoe, and then caught a tug the rest of the way to our destination. As soon as we reported to headquarters we were taken off of the missing list. I am now on a railroad front where I can get mail out once in a while. As far as the army making a man of a person, it depends on the man, for I know some who will come out better men, and some that will not, I am sorry to say. One has to have a strong will to endure the hardships and monotony of this life, for we have had no fighting now for over a month. The men are all anxious to get home and sometimes complain now that the war in France is over. Believe me, I will know how to appreciate home when I get there. Addendum 2: Life is full of funny connections. The Wednesday 27 March 2019 Wall Street Journal (page A15), contained a revies by Mark Yost of The Polar Bear Expidition by James Carl Nelson (Morrow Publishing). The 4400 soldiers in 339th Infantry were mainly Michiganders, which explains why the University of Michigan has a collection on the expidition. The troops were sent to protect the Allied supplies at Murmansk from capture by the Germans. The arms and materiel had originally been sent there to help in the fight against the Bolsheviks. The review ends "Mr. Nelson quotes Lt. John Cudahy, the son of a wealthy Wisconsin family and America's future ambassador to Belgium and Poland, who summed it up best: 'When the last battalion set sail from Archangel, not a soldier knew, no not even vaguely, why he had fought or why he was going now, and why his comrads were left behind.'" Recently, thanks to an article in Bill Eastman's Online Genealogy Newsletter, I've now heard about ArchiveGrid. I don't understand many of the words on the website's About ArchiveGrid page because I'm neither an academic or an archivist, but I do know the value of a website that allows Boolean searches of manuscript collections at more than 1,000 archives. I searched for "Bonnell" and 359 results came up. "Bunnell" brought up 610. 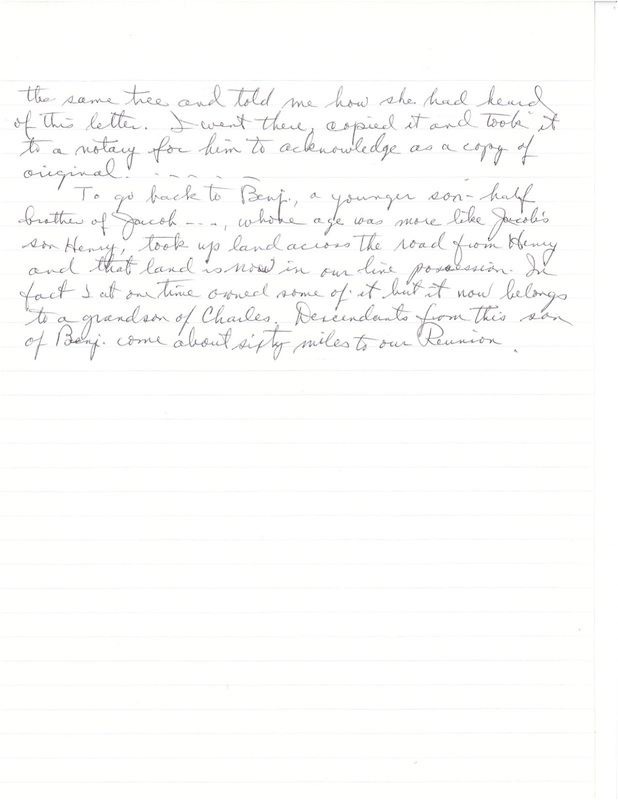 Bonnell Harold Stone family papers circa 1980 (University of Georgia–Special Collections Library) four items: two letters from Mildred Mayo, one addressed to Mr. Campbell, regarding Bonnell and Stone families, and the biography Campbell is writing about Mayo’s father, Bonnell Harold Stone; and two drafts of Bonnell Harold Stone’s biography. Bonnell Family Photographs ca 1880s-1950s (New Mexico State University-Archives and Special Collections) Photos taken on the Bonnell Ranch ca 1915-1955. George Bonnell Collection of Your Show of Show Scripts (New York Public Library) My mother's favorite TV show. Clicking on the record brings up more information. Naturally I was curious. What the heck is the Polar Bear Expedition. The details say "Member of the 339th Infantry sent to northern Russia during World War 1." Doesn't that sound interesting? There's a record for it in WorldCat, but with much less detail. My son's at the University of Michigan and I asked him to make a copy of the typescript for me if he can. There's a story here. Library of Congress–National Union Catalog of Manuscript Collections–includes correspondence of Pvt. Richard W. Bonnell serving with Co. I of 101st Ohio Infantry Regiment. Letters, 1766 Chenevix, Richard 1696-1779 (Yale University)–includes correspondence concerning the disposition of the estate of Jane Bonnell (died 1747). 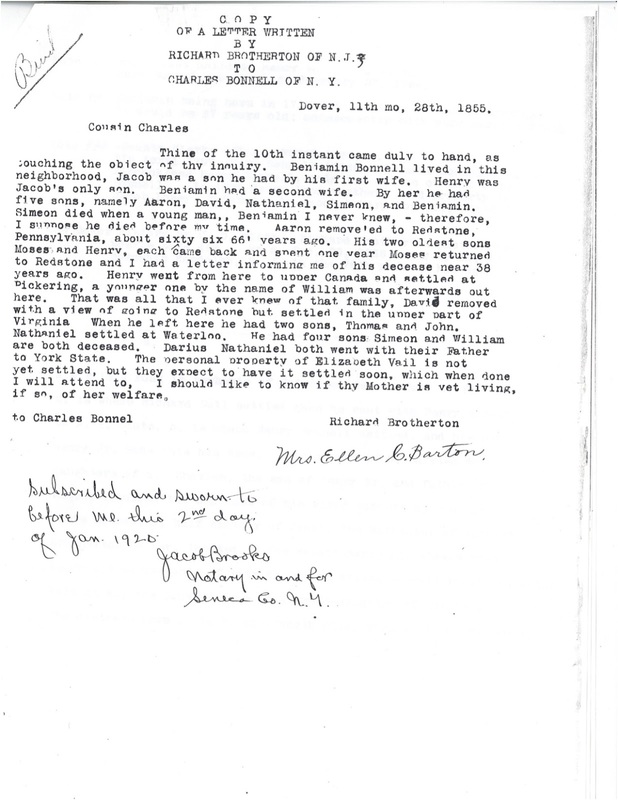 Other gems include Edith Bonnell's letters about her family's movements during the 1906 San Francisco earthquake, as well as many genealogy collections (like William Austin's). So happy hunting. If you find something write it up and send it to me. We'll share it in a blog post. 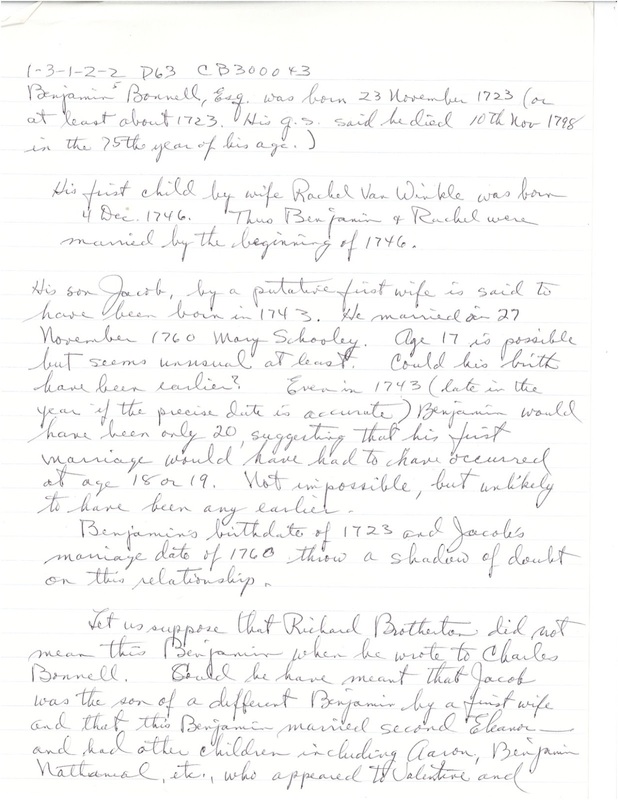 Among the treasures in The William Austin Collection (New England Historic Genealogy Society) is a copy of the letter that settled the question of the parentage of Jacob Bonnell, eldest son of Benjamin Bonnell. I'm descended from Benjamin's son Aaron, step-brother of Jacob. NEHGS has granted permission to share these documents, as long as they are cited. If you use this information, be sure and mention them and Bill's collection. Excerpt from a letter dated 19 January 1921 from Grace Gridley Roscoe, Fremont, Ohio, to Mrs. Addie W. Crawford, Coston, Pennsylvania. To go back to Benj., a younger son–half brother of Jacob…whose age was more like Jacob’s son Henry, took up land across the road from Henry and that land is now in our line possession. In fact I at one time owned some of it but it now belongs to a gandson of Charles. Descendants from this son of Benj. come about sixty miles to our Reunion. Thine of the 10th instant came duly to hand, as touching the object of thy inquiry. Benjamin Bonnell lived in this neighborhood, Jacob was a son he had by his first wife. Henry was Jacob’s only son. Benjamin had a second wife. By her he had five sons, namely Aaron, David, Nathaniel, Simeon, and Benjamin. Simeon died when a young man,,Benjamin I never knew,–therefore, I suppose he died before my time. Aarom removed to Redstone, Pennsylvania, about sixty six 66’ years ago. his two oldest sons Moses and Henry, each came back and spent one year Moses returned to Redstone and I had a letter informing me of his decease near 38 years ago. Henry went from here to upper Canada and settled at Pickering, a younger one by the name of William was afterwards out with a view of going to Redstone but settled in the upper part of Virginia. When he left here he had two sons, Thomas and John. Nathaniel settled at Waterloo. He had four sons Simeon and William are both deceased. Darius Nathaniel both went with their Father to York State. The personal property of Elizabeth Vail is not yet settled, but they expect to have it settled soon, which when done I will attend to. I should like to know if thy Mother is yet living, if so, of her welfare. Subscribed and sworn to before me this 2nd day of Jan 1920. Jacob Brooks, Notary in and for Seneca Co., N.Y. Here are images of all the pages on Benjamin Bonnell Sr. The William Austin Collection at the New England Historic Gealogical Society. Bill Austin has done the Bunnell/Bonnell family a great service. 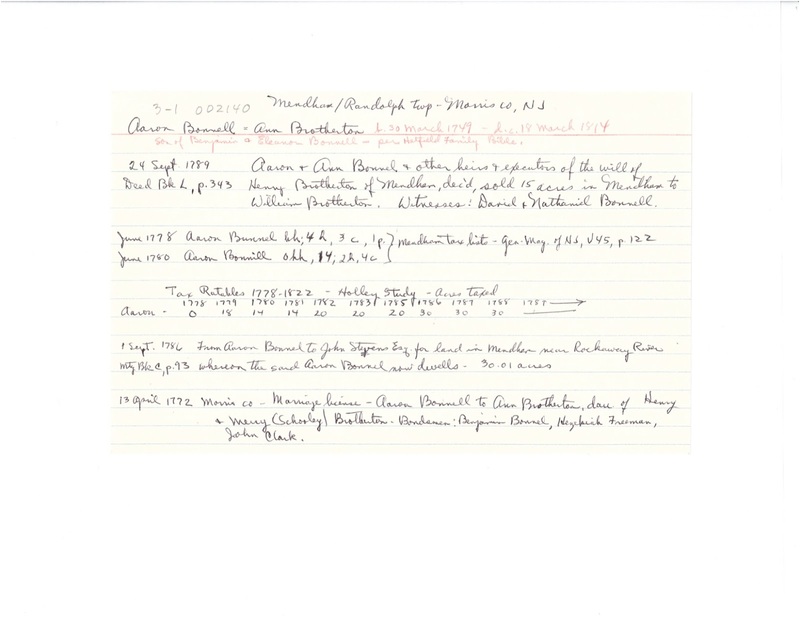 After his definitive book, The Bunnell/Bonnell Family in America, was published, he donated all his papers to the New England Historic Gealogical Society. The William Austin Collection, as NEHGS named it, is safe in its archives. I live on the other side of the country from Boston, so all my requests were made through e-mail. Timothy Sails in Special Collections assigned Archivist Judy Lucey to help me. I wanted Bill’s copy of the Hatfield Bible, the source for all the birth & marriage dates for my branch. 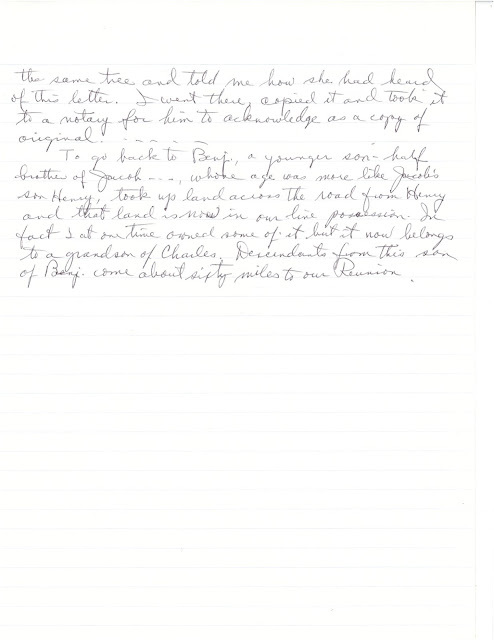 All I have is a transcription and hoped Bill had a copy of the original page. Ms Lacey not only found what I’d requested, she asked if I wanted copies of Bill’s files on my Bonnell branch. Of course I did. She also read through those files and located other documents mentioned in them. One item was a letter from my great-great-Uncle William Wayland Bonnell. For a modest copying fee (40 cents a page, with 50 pages free to NEHGS members), I received a treasure trove via e-mail. When I opened the first file I gasped. There was my great-aunt Margaret’s handwriting on the stationary she always used. She was my paternal grandfather’s sister and one of my favorite relatives. 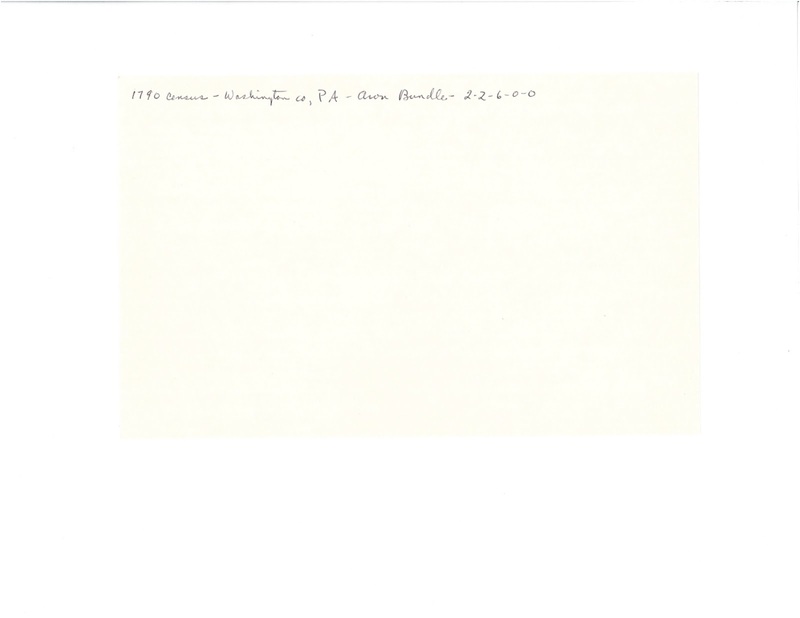 For ten years she and Bill corresponded about Aaron Bonnell’s branch. Margaret’s mother was the granddaughter of Aaron's son Moses. Among the treasures was Margaret’s first version of her compiled genealogy, the letter from her uncle mentioned above and an 1855 letter that resolved the parentage of Aaron’s father. I’ve spent two weeks now taking it all in. 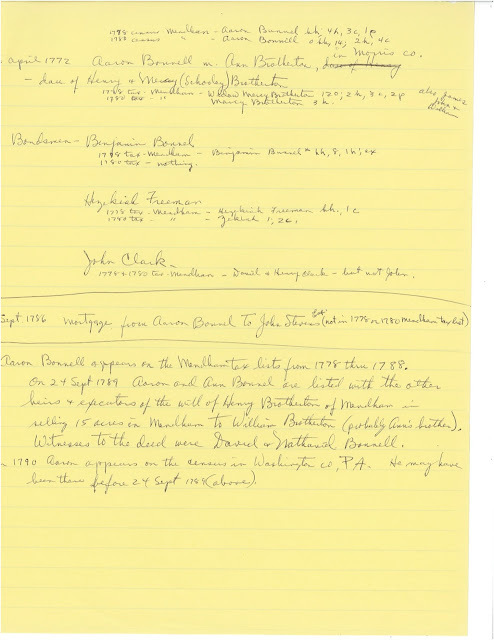 Thank you, Bill Austin, for the meticulous research you did and for donating your papers to NEHGS. Thank you, Judy Lucey, for being a true research assistant, not just a copyist. The Midwest Genealogy Center has indexed US Railroad Retirement Board Pension Claims for 1936-2010. With the information obtained from the indexed record you can order the complete file. The site even tells you how to do it. Many years ago I acquired a copy of my husband's paternal grandfather, and what a treasure trove it was. Besides containing a complete employment record of his years working for various railroads, it included his wife's death certificate as well as copies of his birth, death and marriage certificates. I did a quick search of Bonnel/Bunnell names, and found many. The search results include last name, first name initial, birth and death dates, so you need to know something about the person you are searching for so you find the right record. Some names in the database have been truncated to five characters, to BONNE or BUNNE for example. You can explore these records for yourself at Search Midwest Genealogy Center Online Collections There are several other interesting collections there as well. Let us know if you find anything helpful. A long, long time subscriber to the Bunnell-Bonnell Newsletter, Clement Milton Bonnell III, passed away November 23, 2018. His son Henry was kind enough to send his obituary to Charlie Bunnell so it could be posted here. Our condolences to his family and friends. Clement Milton Bonnell 3rd died peacefully at 12:15 am on November 23, 2018, at Merit Hospital in Biloxi, MS, from complications of pneumonia. He was there to attend a family reunion in his late wife's hometown. He had met his wife of 52 years, Alyne Lucille Eisendrath Bonnell, there at Keesler Air Force Base in 1954 and married her in 1956. Mr. Bonnell was born in Somerville, NJ, on June 9, 1931, to Clement Milton Bonnell, Jr., and Doris Elizabeth Bush Bonnell of Plainfield NJ. He was a 1953 graduate of Stevens Institute of Technology in Hoboken NJ, with a Bachelor of Engineering degree in mechanical engineering. He was a member of the Sigma Nu fraternity and manager of the basketball team. He and 18 Sigma Nu fraternity brothers held annual gatherings for 50 years beginning 1963, in locations including Arizona, Alabama, New Jersey, Pennsylvania, and New York. In 1995, he retired from Bell Labs in Murray Hill, NJ, as a facilities engineer. Earlier he served as plant engineer at Ideal Toy Corporation in Newark, NJ, and held various engineering positions of increasing responsibility at Rexham Corporation, Flemington, NJ, Reigel Paper Corporation, Milford, NJ, and Rayonier Paper Corporation, Jesup, Ga. He served as an Air Force logistics officer in the Korean War with on-ship duties in the Pacific Ocean and tours in Seoul in 1954-1955. In his retirement, he was an avid volunteer for more than 20 years for Habitat for Humanity and on went various house-building missions with the First Presbyterian Church of Bethlehem, PA. He traveled to Iowa, Mississippi, and Texas to help rebuild homes damaged in flooding and hurricane disasters. He was a trustee of the First Presbyterian Church of Bethlehem, PA. He was a member of the Sons of the Revolution and an avid researcher of genealogy, having traced the Bonnell family roots from their departure from Southampton, England, to New Haven, CT, in 1638. He also traced the Eisendrath roots to Dorsten, Germany, where he and his wife represented the American Eisendrath branch in a global reunion of several hundred family members in 1997. He is survived by his sons, William (Joan) Bonnell and Henry (Haruyo) Bonnell; daughter, Elaine Bonnell; grandsons, James Bonnell and Daniel Sobey; and granddaughters, Melody Sobey and Joy-Beth Sobey. The family would like to extend a special thank you to the staff at Merit Hospital for their compassion, caring and kindness during his illness. Visitation will be held on Thursday, November 29, 6-8 PM, at Rupell Funeral Home, 465 Memorial Parkway, Phillipsburg, NJ. Services will be held on Friday, November 30, at 11 am at Grace Church, 521 East Locust St., Bethlehem, PA. Burial will be at the Grandin Presbyterian Church, Pittstown, NJ, at 2 pm. Flowers can be arranged through Rupell Funeral Home via the website at: www or by calling (908) 859-4471. I'm taking the DAR courses on genealogical records and having a ball. So much information is shared on the class forums. 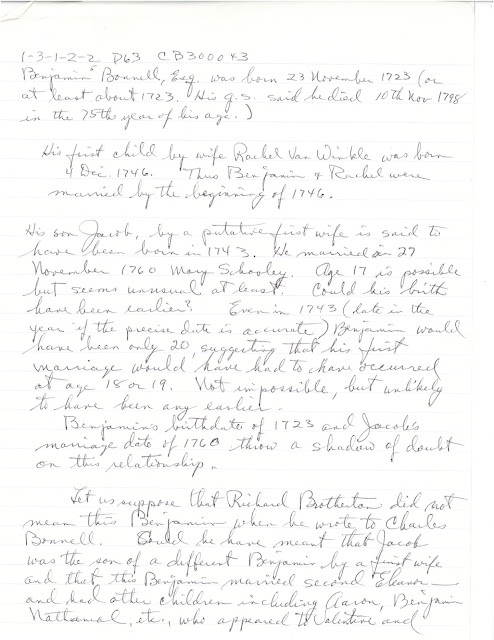 It's goal is to publish transcriptions of every Revolutionary War Pension Application FREE. The work is done by volunteer contributors. It grabbed me right away with it's notice at the very top of the home page that the ads on its site are placed there by Google Ads and generate a small amount of revenue to help offset the site's expenses, BUT are not to be construed as endorsed by the site owners. I thought that was useful information. I admit to clicking on the book that was advertised because it looked interesting. But I digress. The pension for Alexander Bonny (Bonnell) was posted. The transcription includes a link to the original image. I found the transcription for one of my husband's ancestors on the site, saving me considerable work. There's more to the pension files than the application, but this site is still a treasure. Where did the Bunnells live in Mercer County, Kentucky? Here is the answer to the second question George Faris attempted to answer in his December 2017 report. Now that the Mercer tax lists and some other records are available on-line I've spent some time in analyzing the tax lists to see if any further information might be discerned from them. One of my questions has been where the Bunnells actually lived and who they might have worked for - since they didn't own any land of their own. The early 1800 s tax lists included the date on which each individual was listed. (Later tax lists combine all of the districts in alphabetical order and do not include a date.) It becomes fairly clear where the Bunnells were located when looking at the dates when they were listed each year from 1799 through 1805 and searching for others listed on the same dates in those years in the same district. Except for Jonathan, who appears to have lived apart from the others in a different commissioners district, all of the Bunnells as well as John Farris and Joseph Lyon were always listed on the same day, e.g., June 14, 1799; June 27, 1800; July 22, 1801, etc. There were only a few others in the same district who were always listed on the same day and what stands out is that the primary landowner who was always listed on the same day as the Bunnells was David Williams. David owned one of the largest plantations in Mercer County - 1190 acres on Shawnee Run. (He also owned additional property totaling about 500 acres in Gallatin and Henderson Counties.) It seems clear that the Bunnell families lived and worked on David Williams' plantation from 1799 - 1805. Jonathan Bonnell was married in 1799 to Rebecca Dean and apparently lived with the Thomas Dean family which was listed in a different district even though the Dean property was only about 2 miles north of the Williams plantation. However, Samuel Bunnell, who was also married in 1799, apparently lived and worked on the Williams plantation with the others until after the others moved on after 1805. Samuel later relocated to property on Rocky Run about 4 miles farther north and near the Kentucky River. Joseph Lyon was also with the Bunnells through the 1801 tax list. He then apparently moved to Barren County and later to Green and finally to Hardin County. 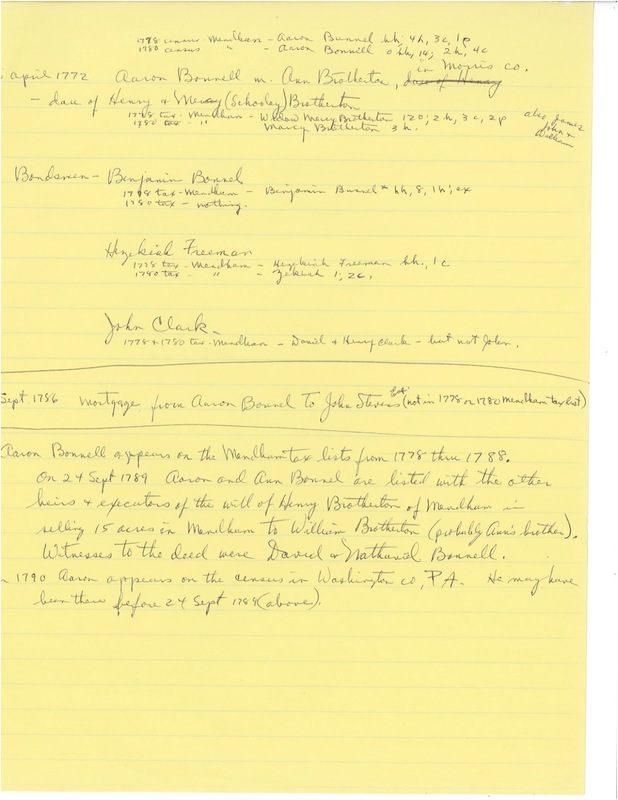 John Farris was always listed along with the William Bunnell family through the 1805 tax list. 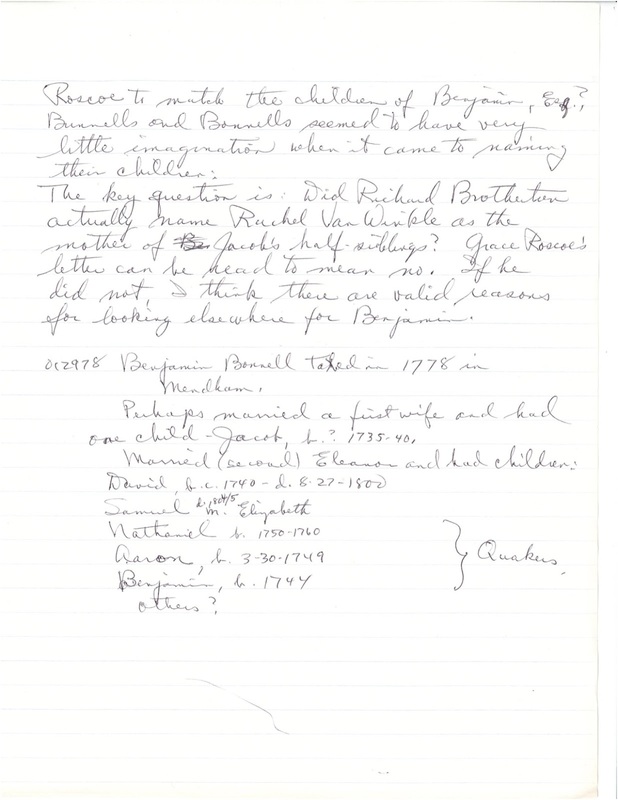 John Bunnell appears only on the 1800 and 1801 tax lists and there seems to be no further information regarding him. William Bunnell, Jr. first shows up on the 1801 tax list. 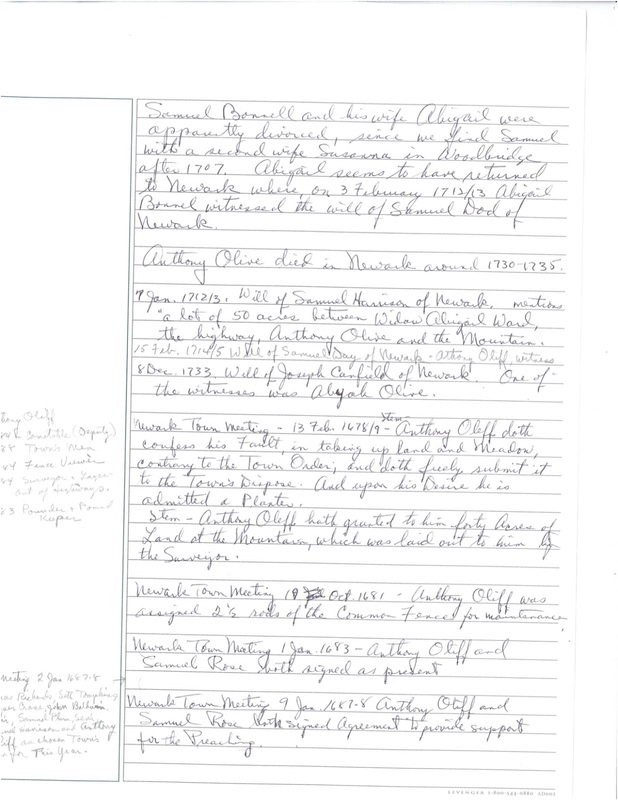 Jeremiah Bunnell shows up only on the 1804 list in Mercer County. After 1805 the only Bunnells remaining in Mercer County were Jonathan, Samuel who, after 1815, remained on the same 75 acre property on the waters of Rocky Run for the rest of his life, and Joseph who lived across the Kentucky River in Jessamine County where he was married to Martha “Patsy” McGrath, a daughter of Bryan McGrath, on July 3, 1813. Joseph may have worked on the large Mason Singleton farm near Keene – since he named one son Mason Singleton Bonnell. Joseph also lived for a short time in adjoining Madison County, where he is listed in the 1830 census and in the 1830 tax list, before ultimately moving to Howard County, Missouri, before 1835. After Thomas Dean died, Jonathan Bonnell is listed with 47-1/2 acres on Shawnee Run until 1821 before moving to Indiana. The Bunnell descendants who still remain in Mercer County appear to be descendants of Samuel. In some of the later tax years Samuel's apparent sons, William, Benjamin, Samuel, Jr., James S., and Archibald were listed and were probably still living in the same area. The Samuel Bunnell property was apparently on the north side of the Rocky Run drainage near Cummins Ferry Road. Numerous Samuel Bunnell descendants are buried in the cemetery at Ebenezer Church of Christ at the intersection of Cummins Ferry and Oregon Roads. The earliest Bunnells listed with marked graves there were born in the 1840s and were grandchildren of Samuel. The church was established in the 1830s and it's likely that Samuel and some of his children are buried there but there are no surviving markers for them. Who was David Williams and where was his plantation in Mercer County? In 1774 David was with Capt. James Harrods group that traveled down the Ohio to the Kentucky River and up it to the area that is now Mercer Co. and started to establish a settlement there. They were interrupted by Lord Dunmore's War and abandoned the settlement to join in that endeavor. But they arrived at Point Pleasant a few hours after the battle there had ended. Early the next year they returned to Kentucky and built the fort at Harrodsburg as well as numerous cabins throughout the area. David remained there until 1776 when he returned to Hardy County - where he then enlisted and was a in much of the action and the hard winters of 1776 and 1777 with Washington's troops in NJ and PA. He was discharged in 1781 as a 1st Lieutenant in the 8th Virginia Continental Line. When David and his family returned to Kentucky in about 1785 they established the plantation there on land that had been originally claimed by David's stepfather Peter Casey adjacent to the land owned by Sarah's brother Thomas Denton. There were several "stations" along Shawnee Run - one belonging to Thomas Denton and an adjacent one owned by David Williams that show up on the lists and maps of pioneer stations in that area. From these we can pinpoint the location. Hugh McGary's Station was described as being within 100 yards of Shawnee Springs; David Williams' Station was 0.9 miles north of McGary's and Thomas Denton's Station was east of Williams' Station. There is a historical marker for Denton's Station located at 986 Curry Pike. So David Williams' property was the area north of Shawnee Run between two branches of the stream about a mile north of Shawnee Springs which is easy to locate via Google Maps. David Williams and Sarah Denton had at least 6 children before her death sometime before1790. David married Jane Jones in 1790 in Mercer County and they apparently had 2 children. He married Eleanor Higgins in 1799 and they apparently didn't have children. 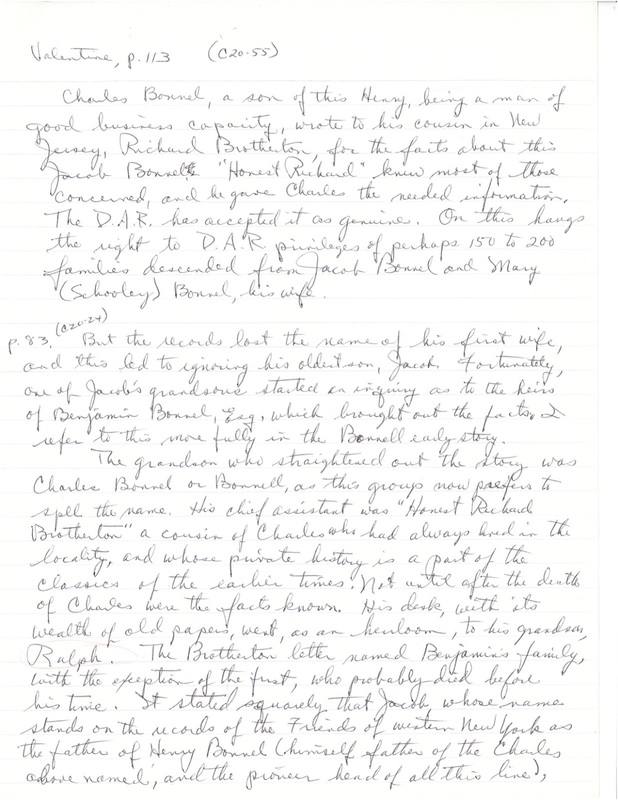 In one of the Dean court cases in 1801 David acknowledged that he had fathered 2 children with Elizabeth Dean, daughter of Leven Dean, and agreed to pay Elizabeth for their support. David died in 1831 in Mercer County. George Farris has been working with DNA test results. Happily he shared the results with us. I only added the bolding, to emphasize his conclusion. Readers, if you have any information that would help George, please let us know. The individuals involved are descendants of three different children of Peter and Sarah - Jacob, born ~1800, Peter, Jr., born ~1803, and James Harvey, born ~1812. Since I have no other known connection with the Wright or Rossell lines it seems very likely that the match is through Sarah Wright's mother, Ann. 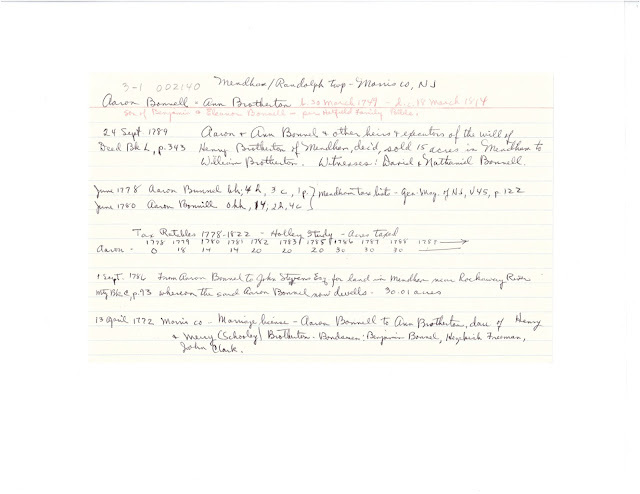 And that would appear to be further evidence that Ann was a Bunnell and probably a sister of our ancestor the William Bunnell who was the progenitor of the "Kentucky Bunnells." That's consistent with the facts that Ann migrated with the William Bunnell family after Jacob Wright died and that William Bunnell was the bondsman for the marriage of Sarah and Peter in 1795 in Botetourt County, Virginia, and apparently wrote the parent's consent document for Ann to sign. Since the connection is many generations back there are also descendants of Sarah and Peter who did not inherit that particular segment of DNA that appears to be from the Bunnell line. I've found several such descendants with whom I do not have a DNA match.. I wanted to bring this to the attention of other researchers of this Bunnell line in case any of you find similar DNA matches. There are several documents from the late 1800s and early 1900s pertaining to Keziah based on family information emanating primarily from the families of the five of her eleven children who ended up in Howard and surrounding counties in Indiana. These documents state that Keziah’s maiden name was Bunnell and that her husband was a James Dean. All of her children appear to have been born in Mercer County, Kentucky between 1795 and 1822. 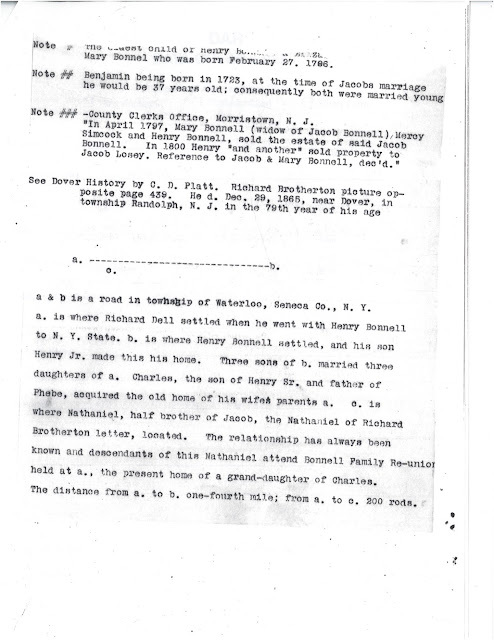 However, there is only one document in Mercer County that links her to a Bunnell, that being the 1818 marriage bond for her son Edmund for which Samuel Bunnell was the bondsman. For marriages of her other children the witnesses and those signing the bonds or witnessing her consent for the female marriages were primarily John Dean, his daughter Deana, and Deana’s husband Elijah Thompson. If Keziah was actually the Keziah Dean who was the daughter of Thomas H. Dean and Diana Green then John would have been her brother. Or, if Keziah was married to a James Dean who some have claimed to be a son of Diana Green and her first husband Joseph Dean, then John Dean would have been Keziah’s half-brother-in-law. Several other researchers in addition to myself have searched through many Mercer and Jessamine County records and have never found any record of a James Dean in the appropriate time period other than an unrelated James Dean who was married to Patience Holeman in North Carolina in 1782 and lived in Jessamine County during the entire period when Keziah’s children were born. Since some of Keziah's children were married in Jessamine County and one of them, Harrison Dean, lived there most of his life, some researchers have confused the two unrelated Dean families – including the 1830 census and 1847 probate records for that James Dean of Jessamine County. (The 1847 probate is actually for Patience but also includes the inventory of the estate of James. He had died in 1838 and Patience and all of his children were named in his will, written in 1833.) In the early 1900s there were some reunions of Keziah Dean's descendants in Jessamine County and reports of those reunions seem to have relied on the earlier documents from Howard County, Indiana in regard to the ancestry of the family. Some researchers have listed James Dean as a son of Thomas Dean and Sophia. However this seems to be a misinterpretation based on Mercer County court cases involving Sophia Dean in the 1790s and early 1800s. Sophia was a daughter of Thomas, not his wife. Thomas was married to Diana Green Dean at that time. Sophia was a daughter of Thomas Dean and his first wife Elizabeth Pritchett Shenton and had at least four young children as of 1797 but was apparently not married at that time. Keziah Dean is listed in the U.S. Census in 1810 and 1830 in Mercer County with several of the children living with her – 7 in 1810 and 5 in 1830 (5 others were married prior to 1830 and a 6th was married in 1830). In 1830 an additional female 20-30 and a girl under 5 were also living with Keziah. Keziah was listed as age 26-45 in 1810 and 50-60 in 1830, consistent with the birth year of 1770 on her tombstone in Howard County, Indiana. She only appears in the Mercer County tax lists for two years in 1833 and 1834. It's not clear who she and her children were living with in other years but in the 1830 census she was listed next to John Dean. The 1898 biography of her youngest son James Harrison Dean in Howard County, Indiana contains some details regarding his alleged father who was said to have died shorty after the 1822 birth of James W. according to the biography in the “Biographical and Genealogical History of Cass, Miami, Howard and Tipton Counties.” This biography lists James H.’s parents as “James and Keziah (Bunnell) Dean.” It also states that he lived with his widowed mother in Mercer County until 1844 when he moved to Indiana. There is nothing to corroborate the details about a James Dean nor any record of the death of a James Dean in Mercer or Jessamine Counties, Kentucky – except for the other James of Jessamine County whose will record includes his wife Patience . 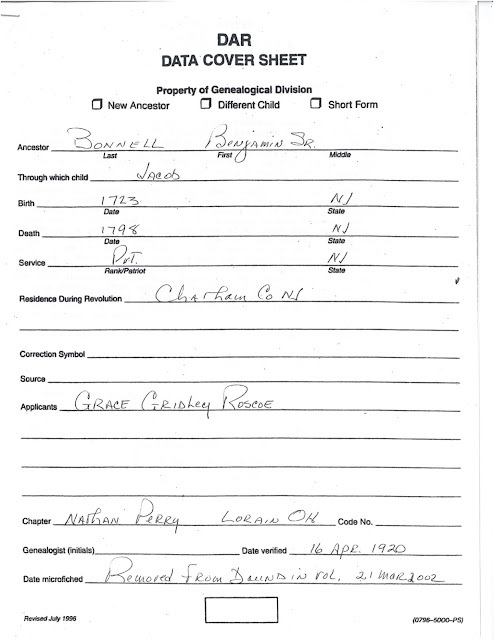 Barbara Beall’s account of James in her Ancestry tree implies that James left the family and moved to Indiana and later to Mclean County, Illinois and died there in 1848. We have not been able to discern the source of Barbara’s assertion and have found no record of James Dean in Illinois or in Mercer County, Kentucky. One court record in Mercer County regarding Keziah Dean in 1809 regards her attempt to prevent her three oldest children from being bound out on the basis that she had not properly raised and educated them. But there is no mention of a husband in this court action and none in the 1810 census. The three children mentioned correspond to Keziah’s known oldest children, Edmund, William and Rosanna and she was involved in their marriages in later years. The lack of records for a James Dean in Mercer County has led some researchers to conclude that Keziah was actually the daughter of Thomas and Diana Dean and was never married. We know from the wills of Thomas and Diana Dean that they did have a daughter named Keziah. It’s a little difficult to reconcile that conclusion with the fact that Keziah had eleven children and that some of them seem to have believed that a James Dean was their father and that their descendants apparently believed that Keziah was originally a Bunnell. As stated above, the only known connection of Keziah with a Bunnell is the fact that Samuel Bunnell was the bondsman for the marriage of her oldest son. However, that son was allegedly born in Mercer County in 1795, several years before the William Bunnell family moved to Mercer County from Botetourt County, Virgina in 1798. It's possible that Edmund had worked for Samuel Bunnell or, if the older children were really bound out, that Edmund lived with Samuel Bunnell and his family. While it seems rather strange, it appears to me that the entire story of a James Dean as the father of Keziah's children was probably a fabrication by some of Keziah's children or their descendants. The father(s) of her children will probably always be unknown, although future Y-DNA testing by male line descendants might provide some clues. To date, the only autosomal DNA data available for a descendant of Keziah Dean shows a match with only one other descendant of William Bunnell and his wife. However that match is with a descendant of Jonathan Bonnell and Rebecca Dean so the tested person could, therefore, also be a descendant of Thomas Dean and Diana Green. So that result is indeterminate and could result from Keziah actually being a Dean rather than a Bunnell. The name “Green” has also been associated with Keziah by some descendants as either her middle name or maiden name. 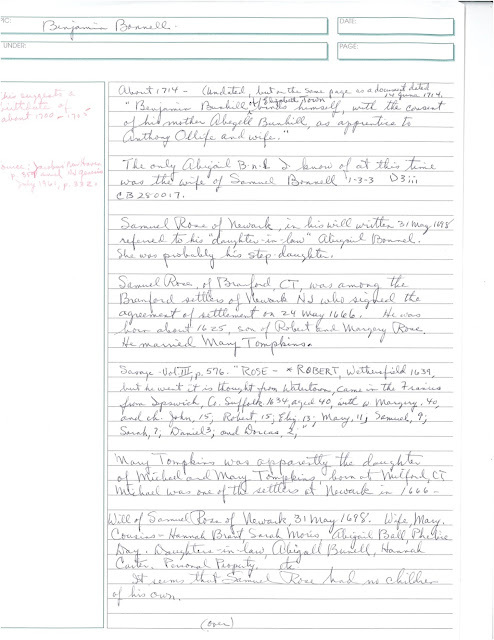 The available records and the accounts by descendants are confusing and contradictory but my conclusion is that Keziah was not part of the William Bunnell family and was a Dean from birth, the same Keziah named in the wills of Diana and Thomas Dean as their daughter, and was never married. Therefore, I suggest that those of us who have included Keziah as a part of the William Bunnell family should probably remove her from that list. I apologize for the delay in posting this update from George Farris. It somehow found itself filed with my Christmas correspondence instead of my Action Required folder, so it wasn't posted in a timely manner. 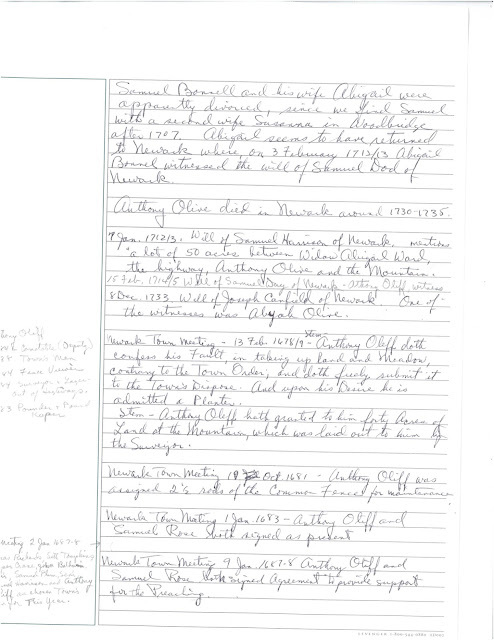 Over the past several months I've been re-examining some Kentucky records, both on-line and at the Kentucky Historical Society Library, to see what more might be discerned regarding the Bunnells and related families in and around Mercer County, Kentucky. Having the tax and other county records available on-line now makes it easier to search them and fill in a few more details. I've had a few questions that I've tried to answer and will share what I've concluded about them. One other somewhat related topic involves Dennis Wright, the oldest son of Jacob and Ann Wright. Dennis remained in Spotsylvania County, VA, after Jacob died until 1789 when he sold the property there. In the meantime, Ann and her daughter Sarah apparently migrated with the Bunnell family and Sarah married Peter Rozell in Botetourt County in 1795. What I realized from the Mercer County tax lists is that Dennis had apparently moved to Mercer immediately after selling the Spotsylvania property and was in Mercer long before the Bunnells arrived there. He remained there until after 1808 when he moved to Maury County, TN - and later to Lincoln County, TN where the Dennis Wright family joined the family of his sister Sarah Wright Rozell and her family. While it seems likely that Ann Wright was a sister of William Bunnell we've found nothing to confirm that supposition. The most nagging question remaining is identifying the wife of William Bunnell. I've not found anything more that would either confirm or deny that she was Elizabeth Green. 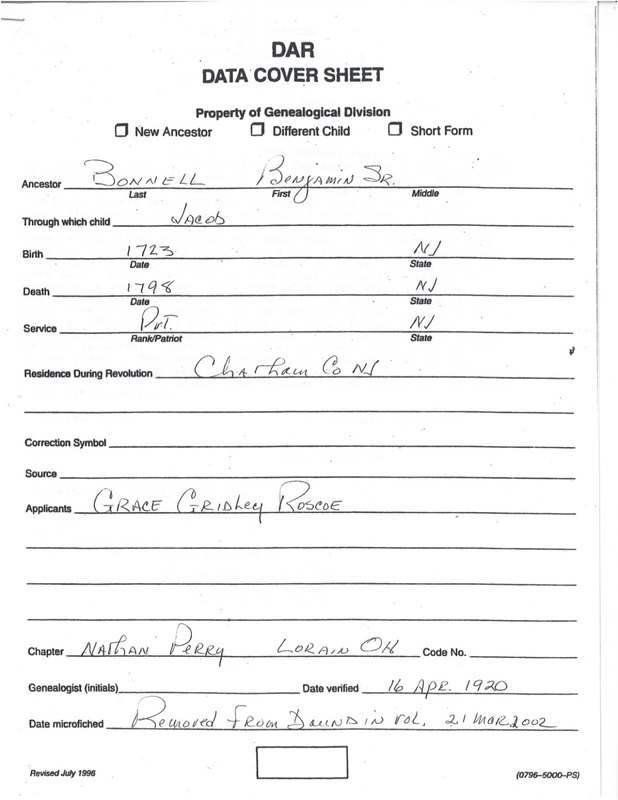 I've not been able to find any additional clues from the Kentucky records of the Thomas Dean family that would shed any light regarding whether or not she was a sister of Diana Green Dean as asserted by Dr. Barbara Beall. We received this sad news from Charlie Bunnell. I’m sorry to report that the wife of John Grady, one of our longest working researchers of the Kentucky clan, has passed away. Geneva Lois Bunnell Grady passed away on February 14th 2018. Her obituary can be seen at http://wcluradio.com/geneva-lois-bunnell-grady/ or http://www.winnfuneralhome.com/notices/Geneva-Grady. We extend our sympathy to her family and friends. She will be missed. These are the last pages from the case file, Mercer County, Kentucky Dean vs Dean as kindly provided by John Bunnell. This is the third post containing papers from the case file, Mercer County, Kentucky Dean vs Dean as kindly provided by John Bunnell. This Blog replaces The Bunnell/Bonnell Newsletter that was in continuous publication from January 1987 until November 2014 - 28 continuous years. Mr. William Austin of Lacyville, PA started the Newsletter in order to share some of the material he had collected during 25 years of research and correspondence. After 10 years, Carole Bonnell and her sister-in-law Teri Bonnell assumed the editorship. In January 2003 Charlie and Pat Bunnell took over, and published the newsletter until November 2014. At that time this blog was created to carry on the newsletter in a different way. Please send contributions to margaretrutledge@earthlink.net. SUBSCRIBE TO THE BLOG HERE!!! Just type in your e-mail address.